Located directly south of downtown, the Beltline is home to many more condominiums within close proximity to the city centre and is often considered as part of. 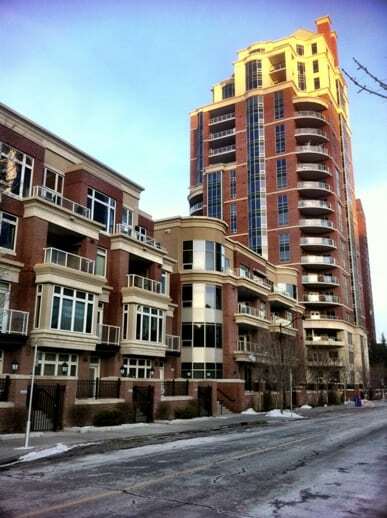 Begin your search of Beltline Calgary Condos for Sale here. For more information on any of these downtown condos in Calgary, call anytime or message me below and I will be happy to assist you! 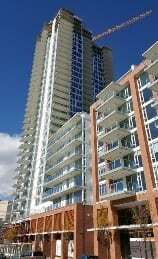 Questions about Downtown Calgary Condos for Sale? 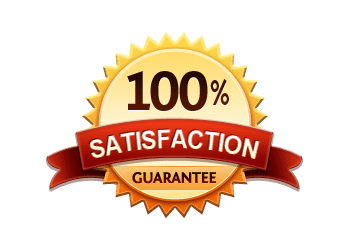 As a highly-experienced condo specialist and REALTOR® in Calgary, I promise to help you get the most value for your dollar while providing you with only the best level of service and expertise the industry has to offer. Avenue West End is a recently completed high-rise condo found in downtown’s west end, just steps from the Bow River and its pathways. A second tower is planned for the project; further details should be announced at a later date. Developed by Grosvenor, one of the oldest and most experienced residential developers active in North America, condos feature high-end finishings and large balconies to take advantage of the views of the Bow River Valley. Evolution is Vancouver-based developer Embassy Bosa’s debut into the Calgary condo market. It consists of condos and townhomes across two phases of development: Fuse and Pulse. Boasting upscale features and a near-riverside location in the heart of the redeveloped downtown community of East Village, Evolution has made a name for itself as one of the best new condos in the area. Five West is a two-tower condominium found in the downtown west end with quick-and-easy river access and stunning views. Featured inside are open-concept floor plans with upscale finishings throughout. 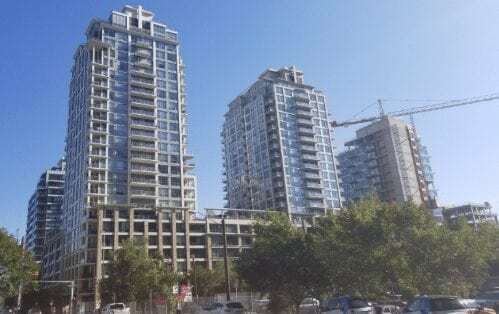 Five West is one of the landmark developments by home-grown residential developer LaCaille who is known for many other projects in the downtown area including Chateau La Caille, La Caille Parke Place, Solaire and Vogue. Princeton is a multi-phase luxury condominium located on riverside property in the highly desirable and walkable downtown community of Eau Claire. The first phase of development began in 2002 and continued on through the decade. Today, Princeton condos and townhomes are some of the most highly sought after because of their location and upscale nature. Vogue is a recently completed condominium found on the west side downtown by local developer LaCaille. Featuring unique Chicago-style architecture, the building stands out on the skyline when seen from nearby areas such as Kensington. Walkability to Kensington, the Beltline and central commercial core are all quick and convenient from Vogue. Inside you’ll find high-end finishings with contemporary design and spacious balconies. Waterfront is a multi-phase condo development located riverside in Calgary’s downtown community of Eau Claire. These condos boast incredible views of the Bow River Valley and surrounding areas and because of the location are a go-to living destination for many downtown workers. With 5 total mid-rise condo towers and 4 low-rise podiums, there’s a ton of options for buyers looking to live a walkable lifestyle in this highly desirable downtown area.